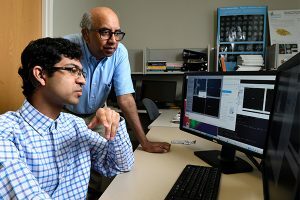 Internships at the Institute for Computational Medicine (ICM) provide extended research experiences for visiting undergraduates who are interested in the development of quantitative approaches for understanding the mechanisms, diagnosis and treatment of human disease through applications of mathematics, engineering and computational science. An internship at the ICM provides a significant research opportunity that can lead to authored publications, presentations at conferences, and a competitive advantage for students who pursue graduate programs and professional research-based careers. The following undergraduate internship programs provide opportunities for visiting students from a wide range of cultural and academic backgrounds to work under the guidance of an ICM faculty member conducting academic research and scientific experimentation in computational anatomy, computational molecular medicine, computational physiological medicine, or computational healthcare. The deadline for summer internship applications is February 1, 2019. Summer interns will spend 8-10 weeks working in an ICM lab and will receive a competitive stipend and commuting expenses. Students who choose an internship during the academic year will work with ICM faculty to determine the length of their internship based on their availability and will receive assistance with expenses as needed. Program participants are invited to enroll in JHU’s computational medicine courses through Baltimore Collegetown. Offered each fall semester, Introduction to Computational Medicine I (EN.580.431/631) covers computational physiological medicine and computational anatomy. Computational Molecular Medicine (EN.550.450), offered each spring semester, covers the application of statistical modeling and machine learning methods. A Personal Statement of Research Interests, less than or equal to two pages. Please include labs of possible interest and range of dates of availability. Applications will be reviewed and accepted applicants will be notified. 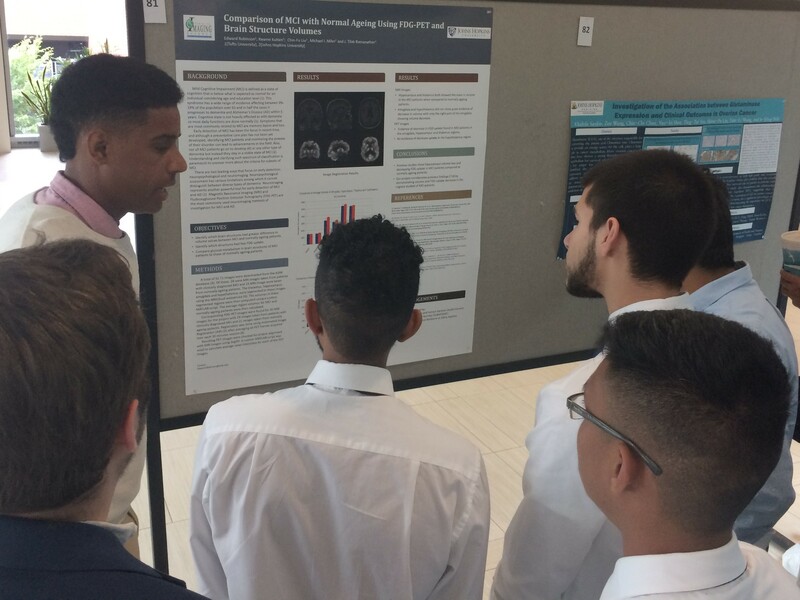 The Johns Hopkins School of Medicine Summer Internship Program provides extended research experience for undergraduates of diverse backgrounds visiting from academic institutions across the United States. Visiting students will work in the lab of an ICM faculty member for ten weeks in the summer and will receive a minimum stipend of $3,000 and housing near the undergraduate campus. Students must have completed two years of college (i.e., sophomore) and be a U.S. citizen to apply. For the School of Medicine Summer internship, please apply by completing the application found here. Qualified applicants must have completed two years of college and must provide the following: an official transcript from their home institution; a personal statement of interest; and two letters of recommendation. For this internship, please apply directly to the Leadership Alliance by completing the application found here. Through the Visiting Undergraduate Research Program, Friedrich-Alexander-Universität Erlangen-Nürnberg (FAU) seniors are invited to work under the guidance of an ICM faculty member conducting academic research in computational anatomy, computational molecular medicine, computational physiological medicine, or computational healthcare while completing their senior theses. To apply, interested seniors should contact the ICM faculty member of their interest. Upon receiving confirmation that a position is available, applicants must submit a CV and letter of motivation (addressed to the proposed Johns Hopkins ICM advisor) to Claudia Barnickel (Claudia.Barnickel@fau.de). Once approved by FAU, applicants may complete the Visiting Student process through Johns Hopkins University.